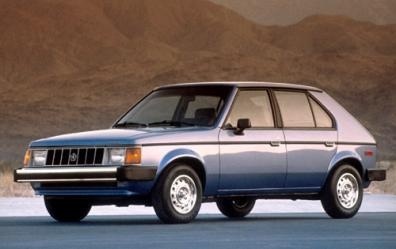 Have you driven a 1986 Plymouth Horizon? Good, Reliable If You Keep Up On The Maintenance, Cheap And A Worth-while Car For Minor Drives. — Accel- 2 out of 5 Braking- 4 out of 5 Handling- 3 out of 5 A very old car, minor repairs needed, just regular maintenance. Appearance was not pretty, but it got the job done. Cheap to own, great on gas. Overall, a good bang for the buck. Not too bad of a car for a 2.2Liter 4 cylinder with like 80 HP. Good on gas, cheap to fix. I think the fastest I drove this car was 90MPH. Pros: Cheap car, great on gas, cheap to fix, great car from point A to point B.
Cons: Small, don't get this vehicle expecting to have room or be comfortable, I barely fit a dual subwoofer set-up in it. Looking for a Used Horizon in your area?